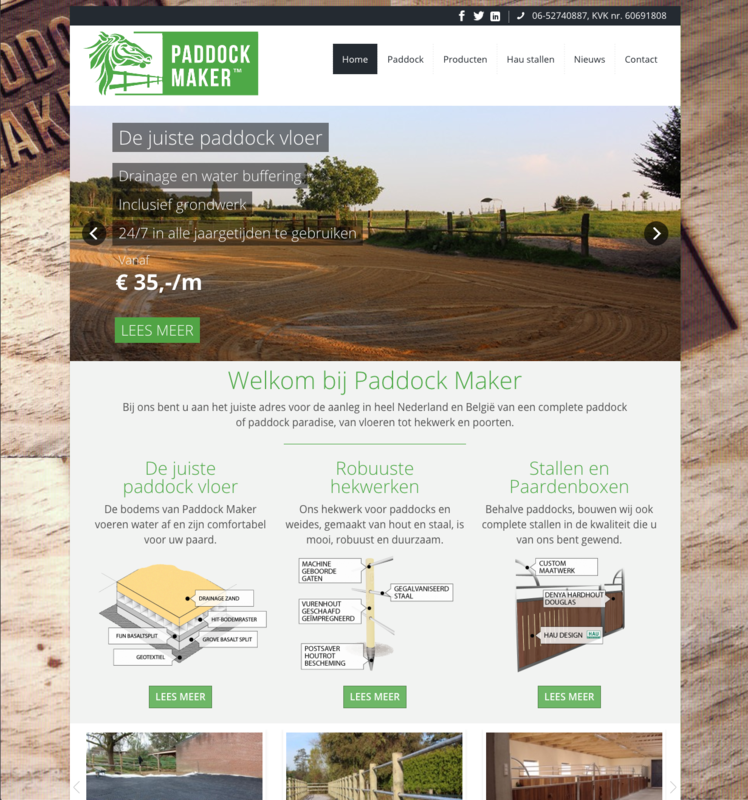 paddockmaker.nl's business is to construct luxury horse paddocks in Europe. This is a returning client, we previously created another website for them (opdebrant.nl). The idea for this project was to use the template we used for their previous website for two reasons: 1) they were very happy with the general look and feel and 2) because there are obvious economies of scale by using that template again. Even though the template was known to us and client, we had to customize several things in order to make it look different than the other one... and so we did: changed the theming enough to achieve that first goal, and also to adapt to the new product, a product and service that needed much more of a technical approach for the user/customer. The site is working really well in SEO terms and we are introducing changes and enhancements to the site on a monthly basis.